If you want an evergreen screen or privacy in a hurry, these are for you. 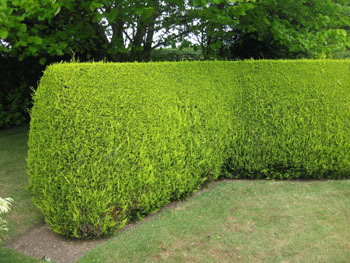 You either love them or hate them, but there is no other form of hedging that will do the job as quick and economically. There are two branches to the family and they are variations of green or golden coloured. Golden leylandii grow 20% slower than green leylandii. Up to 90cm in one year is achievable with the green variety. They will grow huge left un-cut and will easily achieve 20 metres in 20 years. For smaller gardens pick the golden forms. Apart from the fact they are evergreen and green or gold, there is little more to say about them. Things you might like to think about before buying leylandii. If you are planting them close to a neighbour you should seek advice on whether you now need planning permission. There has been a lot of bad press about them and they are not for the small urban garden. They are for large sites where you need to hide something from view. The speed of growth dictates that you need to cut them a couple of times per year to keep them bushy and to stop the need to cut them too hard. You should never cut them beyond the green foliage as once you get to the brown of the branches they will never re-grow from the wood. It is also important to keep anything temporary from making contact with the plant as this too will turn the plant brown where the foliage is covered. This includes allowing trash to grow under the base. Sharp shears or hedge cutter and go easy. There is not really anything that really they dislike. They grow in all soils and most positions. If you have deep shade use Thujas. Apart from poor clipping they are trouble free. 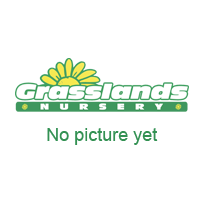 Give them plenty of organic fertilizer in early spring to get them to the height. Once they have reached your desired height leave them to fend for them selves.